» Forum » All Pinball » All gameroom talk » Power Protection: What do you use? » Power Protection: What do you use? Power Protection: What do you use? So we all spend thousands on pinball machines and I am sure most of us leave them connected to the wall when we are not playing. What does everyone use to protect their machines from power surges and other power hazards? I use Cyberpower battery backups on all my electronics. Either a solenoid locked up or lightning took out 1/2 my Pin-Bot main board and since then I never go straight into the wall. I also use this brand for my pc and non arcade/gaming room as well. APC is also another good brand that I use. Do you battery backup pins or just computers? APC 1000's are pretty good, got a couple of em 110 bucks each a few years ago. surge protecting power conditioning battery backup units for computers, but they'll sure protect 1-2 pinball machines too. Unless you really are concerned about a blackout not interrupting your game, there's really no reason to put a UPS on a pinball machine. 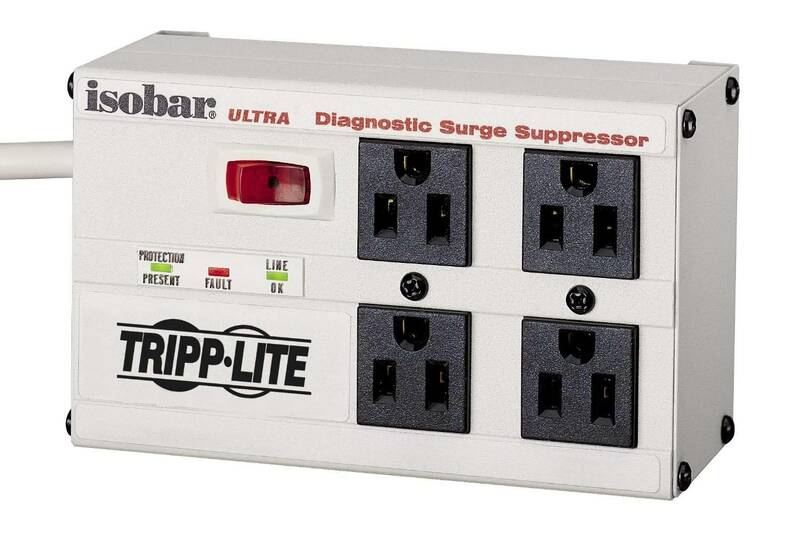 A good quality surge protector power strip should be all you need. Also, make sure you turn the power strip OFF when you're not playing games. When operated commercially, these games were usually plugged directly into power, and turned off via breakers at the panel box. Hardly the cleanest electrical environment around. Just imaging what that load center was doing when the guy came in, in the morning, and started flipping all the breakers on, for 100+ games in a large arcade. now there are four copies of Post #5 ... that's just plain weird. 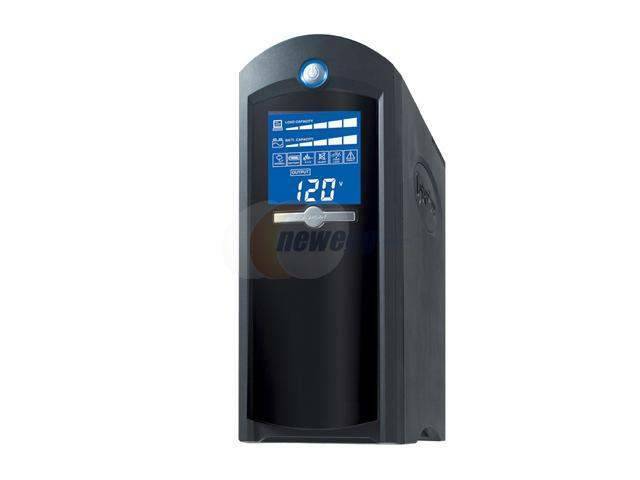 I use Cyberpower battery backups on all my electronics. Wont have a back-up but they seem to be the best at protecting high value equipment. What is the reason for this? I usally leave mine on at the power strip level. It's another layer of disconnect when you're not using the game, which is another layer of protection in case of a lightning strike. Does that affect how fast the batteries drain on your CPU board? or am I wrong in that when it is connected to a main line it does not draw power from the batteries. When your game is powered on, there is no battery drain. When your game is powered off (by whatever means), there is battery drain. Around $50. here is a link at tiger direct http://www.tigerdirect.com/applications/SearchTools/item-details.asp?EdpNo=7120374&CatId=233 I also have a very similar model to the $50 one for my 5x pinball machines and just a surge strip for my MAME machine. Yes it might be overkill, but I swear by them keeping my machines safe. They are great but I would not run a machine simply on the battery charge if the power went out. More of a safe shutdown opportunity and if that one in a billion chance of my best game ever is going on and the power goes off situation arises. Also good if the power goes out to unplug them, and use for a poor mans light source! My big APC one gives 600+ minutes on a CFL bulb. Most, if not all, games come with a MOV (metal oxide varistor) installed. It protects the game from surges and will short to ground if there is a surge. They are cheap and are relatively easy to replace. Note that european re-imports have a different MOV, since their voltage is higher than ours. about that MAME cabinet ... if it has a hard drive, you need that thing on a battery backup. Brownouts are the #1 killer of hard drives. When operated commercially, these games were usually plugged directly into power, and turned off via breakers at the panel box. I replace the MOV before I put a game on location. That is the only surge protection I use and that is probably necessary. 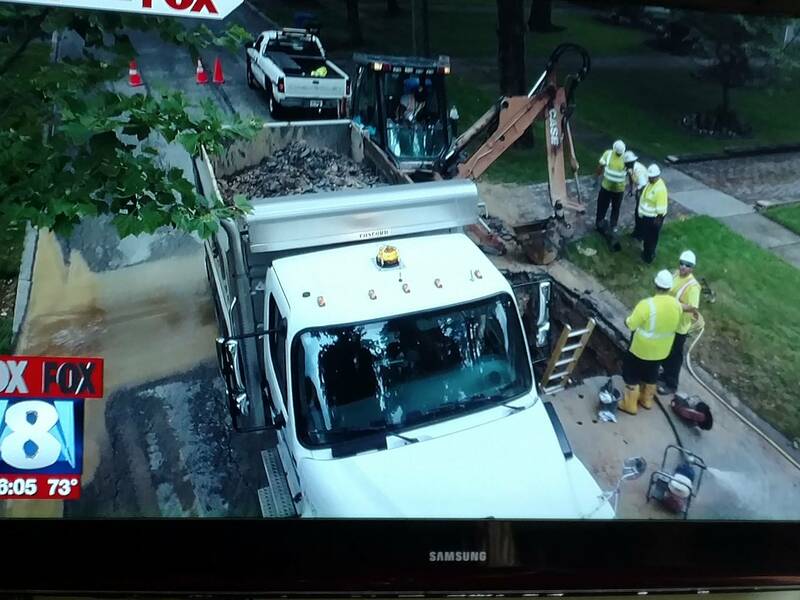 All that being said, I do unplug my games at home during thunderstorms. I have tall trees around my home and a direct or very close lightning hit can damage anything plugged in no matter what type of surge protection you have. This is what i have as well. Always unplugged when not in use, 100% guaranteed protection ! I use a decent -- $35 -- surge protector, but I also always unplug when I'm not using them, especially when thunderstorms are a possibility. I have been thinking about getting a UPS but haven't pulled the trigger yet. Most, if not all, games come with a MOV (metal oxide varistor) installed. It protects the game from surges and will short to ground if there is a surge. My microwave had a varistor instead of a fuse that is supposed to act like you describe. There was a lightning strike a few years ago (unsure if it hit the house or just a nearby tree) that totally fried the microwave. That was only $400 to replace, i'm not sure I would trust a pin to one of these alone. The only way to guarantee protection is to unplug it when not in use or at least when there is a thunderstorm. From wikipedia: "Lightning and other high-energy transient voltage surges can be suppressed with a whole house surge protector. 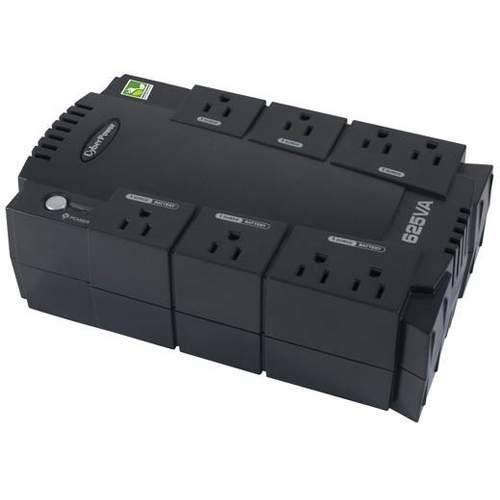 These products are more expensive than simple single-outlet surge protectors, and often need professional installation on the incoming electrical power feed; however, they promise whole house protection from surges via that path. Damage from direct lightning strikes via other paths must be controlled separately." 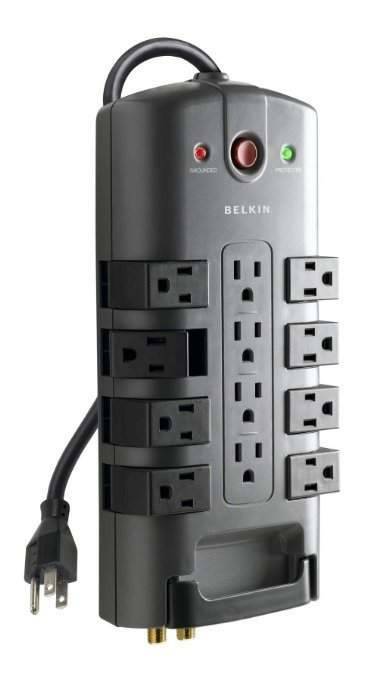 I like the Belkin Pivot surge protector for tight corners and it provides 4320 Joules of surge protection. My microwave had a varistor instead of a fuse that is supposed to act like you describe. There was a lightning strike a few years ago (unsure if it hit the house or just a nearby tree) that totally fried the microwave. A varistor (MOV) is not a fuse. In fact, it works the complete opposite of a fuse. A pinball machine has both a varistor and a fuse that work in tandem. I've seen them work properly firsthand when three of my games lost neutral and ended up getting hit with 208 volts. 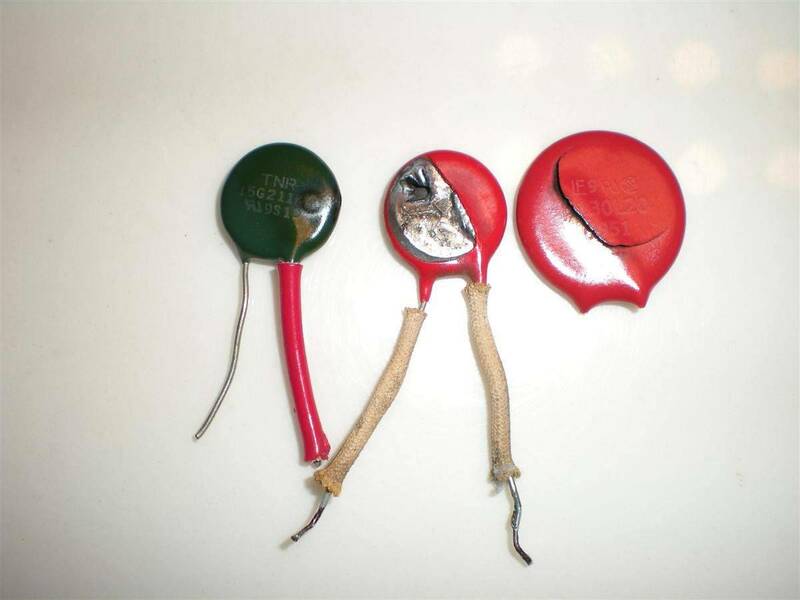 Each one is still working fine after I replaced the varistor and the fuse. If you are going to drop $100 on a surge protector, go ahead and do a whole house surge protector that installs in your circuit breaker panel. Sounds like the best plan is to just disconnect them from the wall and stick with my $10 APC's for when they are in use. and also used individual surge suppression outlets. I have one outlet per two machines. Each outlet is on a separate 20 amp circuit from the sub-panel.